Let's welcome yet another author courteous of Month9Books, Pab Sungenis. 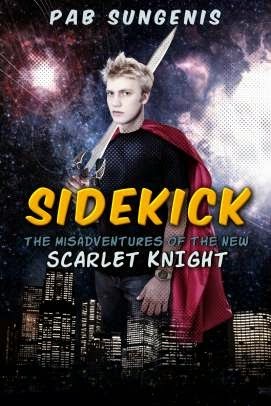 Pab Sungenis is the author of Sidekicks and will be attending BEA for the first time this year. Let's take a look at a little video that he has shared with us . . .
We are so sad to hear about your cat Pab. We hope Ricky gets to feeling better soon and you heal quickly as well! Ouch! Be sure to send your well wishes to Pab and his cat, and wish him luck at his first BEA! Aww I hope your cat is feeling better.